Earlier this week, McGill University had the pleasure of hosting Prof. Graham Scott, from Hull University in the UK. He is passionate about the learning process and he brought his expertise and knowledge to a workshop at Macdonald Campus (made possible by the Macdonald Innovations for Teaching Improvement program). The workshop covered many topics including student managed learning, how to facilitate autonomy in students, how field courses benefit the educational experience for undergraduate students, and various other teaching strategies. Some great teaching tips also emerged from the workshop, and I want to share a few of them here. (Note: a longer post about the value field courses will come sometime in the future!). The students told me that because there was no grade associated with the assignment, they were able to have fun, be creative, and explore alternatives without the risk of doing poorly and/or not meeting the instructor’s expectations. They were also able to use their other personal skills (e.g., artistic abilities, graphic design training) and they welcomed that opportunity. What was the incentive? The groups were asked to present to the rest of the class, so there was motivation to do well in front of peers. The other motivating factor was that the students were presented with a challenge, and the challenge was linked directly to the learning objectives of the course. Finally, the groups themselves motivated each other and found value in the assignment beyond the grade. The bottom line is that under some circumstances, grade-less assignments can be an effective teaching tool, and can bring out the very best in students. 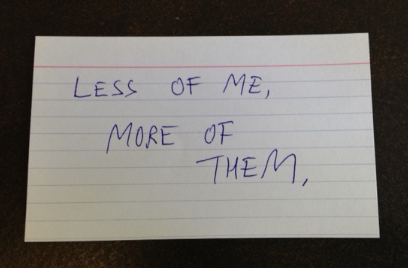 In the workshop earlier this week, Graham Scott assembled us into groups, and each individual in a group was asked to write down, on an index card (i.e., the “postcard”), one thing that we thought would help to improve our teaching ability. We did not include our name on this card. The index cards were then traded around the entire room, so each group ended up with a new set of postcards from other individuals. We were then asked to discuss the content of those cards, and rank them in terms of what we viewed as the best ideas on the cards. Because the content was anonymous, we were able to have an open and frank discussion. Each group then presented their results to the rest of the room. This exercise allowed individuals to put down their ideas honestly, and truthful. What was amazing is that there was an incredible convergence of ideas, and what emerged was ‘clusters’ of ways to improve teaching. An example ‘postcard’ from our exercise about ways to improve teaching. Student-led learning is key. This small exercise was a very effective way to promote engagement, discussion, and allowed participants to be open and frank with the comfort of anonymity. I can see this working very well with any kind of course. 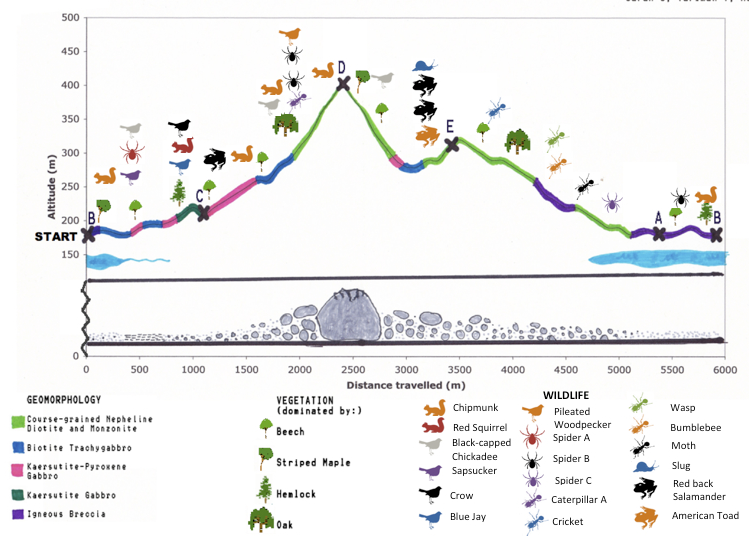 As an example, I can envision ways to incorporate this exercise into a lecture about Animal Diversity – students could be asked to write down what taxon they think are the most diverse, globally, and then the cards could be shared around. Groups could then be formed and students could group cards into categories (e..g, taxonomic, functional, body size) and this could initiate a discussion about mechanisms behind patterns of global diversity. Best of all, everyone would be involved, and all ideas could be discussed. This is “student led” learning – and will help to reduce the biases that an instructor imposes on content. The postcard exercise is simple, cheap, effective, fun, and something I will use next year. The questions can be used in various ways: 1) they could be read out at the start and the lecture could be guided towards the content related to the questions, 2) students could read their own question and be asked to justify why that question is relevant and applicable to the course, 3) at the end of the class, the instructor and students could discuss the questions and see to what degree they were or were not answered, 4) the questions themselves could form a starting point for discussion at the start of class, on that day, or perhaps during the next time the group meets, 5) the questions could be used to form groups which in turn could facilitate a process or project related to researching the questions, 6) the questions could be used to modify the course and its learning objectives in the future…. And I think there are many other options once the questions are in hand. It’s a ticket to enter because the class won’t start until the students have asked their question. The benefit to this approach is that it helps engage students in the areas of their own interest as related to the course. It also helps to see whether there is a match (or mismatch) between the instructor and the students, and questions are an insightful and powerful way to do this. 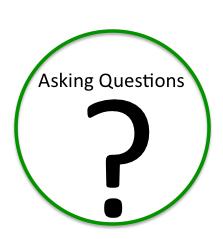 Good questions are also something critical to the research process yet we do not often focus on how to ask good questions as a core competency at University. Asking good questions is fundamental to the learning process. In sum, the workshop was inspiring, informative, and Graham Scott helped us see some wonderful innovative and important ways to rethink and retool approaches to teaching. There are many more tips and ideas to share, so please stay-tuned for more to come in future posts…. What are your top teaching tips? Please share! Questions can also just be handed to the instructor on a piece of paper without having to be shared with the rest of the class all the time. In this case they become an interesting formative exercise for the instructor who is able to see what was better understood and what should be clarified about the material in a future session. hey guys i loved the comics ,they were wunferdol hilarious, lol i was laughing my but off when i was done . good job.they were very creative also .and even imaganative.i could see from your art work and creativity that you guys worked really hard on them.good job. p.s dont mind my spelling.